T-R PHOTO BY THORN COMPTON - Marshalltown senior Ray Wiegand, front right, addresses his team and the crowd during a pep rally at Wayward Social for the state-bound Bobcat boys bowling team. Marshalltown will compete in the Class 3A State Bowling Meet on Thursday at Cadillac Lanes in Waterloo, starting at 11:30 a.m.
On Thursday, Marshalltown seniors Kamrin Chizek, Carson Potter and Ray Wiegand will put a bow on their illustrious Bobcat bowling careers at the Class 3A State Bowling Meet at Cadillac Lanes in Waterloo. In the last four years the MHS boys haven’t missed a state meet, in fact they’ve been to five-straight now. 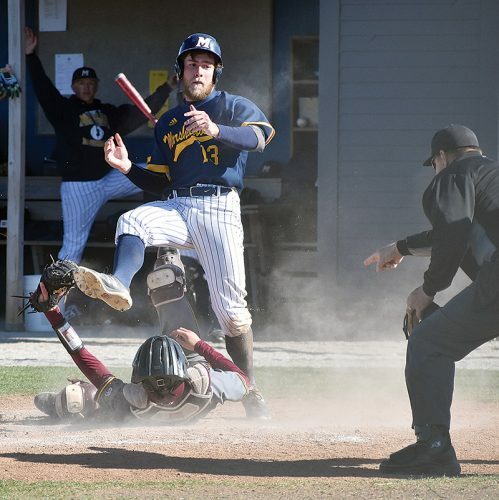 In that five-year span, the Bobcats have a state championship from 2015, a fourth-place finish in 2016, and back-to-back runners-up placings in 2017 and 2018. Though they were around for the championship in 2015, none of the three seniors were in high school yet so they didn’t get to experience that elation. Potter said that’s been their main goal this year, finishing out the career by hoisting a state title. Marshalltown head bowling coach DJ Wilder, who took over the program for the first time this season less than a month before the season started, said the guys wouldn’t be in the position they are in if it weren’t for those three seniors, particularly Chizek and Wiegand as captains. 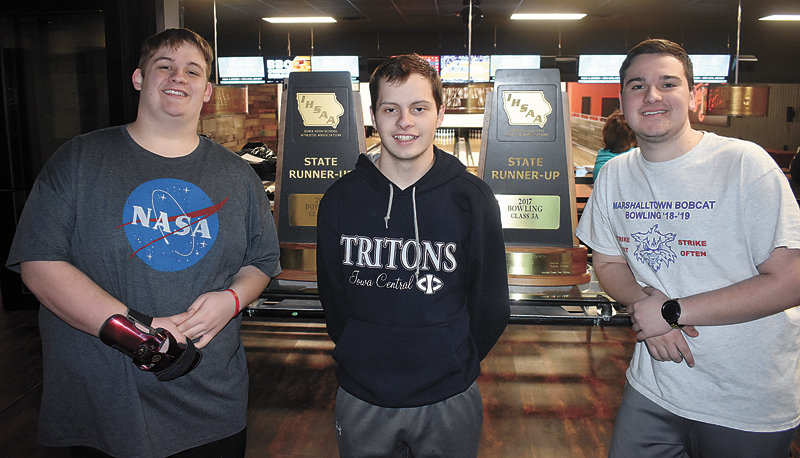 T-R PHOTO BY THORN COMPTON - Marshalltown seniors, from left, Carson Potter, Ray Wiegand and Kamrin Chizek pose with the trophies they’ve won in their time with the Bobcat boys bowling team. After two runner-up finishes, the senior trio is trying to end its career with a state title at the Class 3A State Bowling Meet at Cadillac Lanes in Waterloo on Thursday, starting at 11:30 a.m.
Wilder said there was even a long stretch in the middle of the season where he barely saw the team between a loss in a dual at Ottumwa and the team’s final home meet due to multiple factors, but the three seniors were crucial in getting the ship right and ready to compete in the postseason. 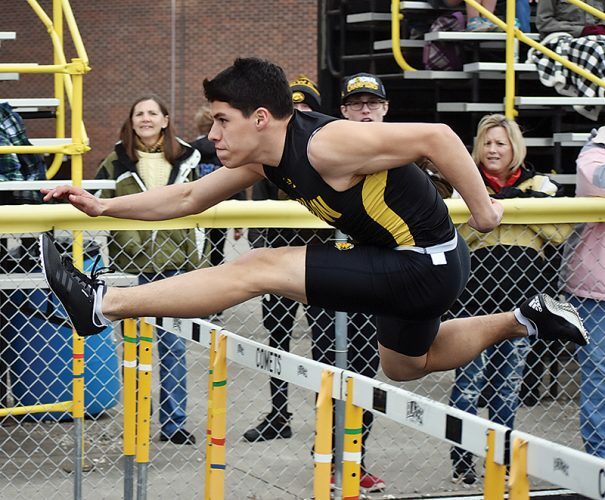 Wiegand, who will finish his career as a four-time state participant, said he enjoys looking through results of past teams and see where his teams stack up. Freshman Demitri Ferneau said watching the three seniors bowl during their final season as he gets started with his career has given him a lot of insight into how to be successful. “It’s a good opportunity to bowl with them, they bowl great and they just love the sport,” he said. Wiegand has come a long way in his time bowling for MHS. In his first state appearance as a freshman, he rolled a 368 to come in as the fifth-score on the Bobcats’ fourth-place team in 2016. Now he has been a part of back-to-back runner-up finishes and he enters the 2019 state tournament with the top individual qualifying mark after bowling a 558 at the district meet. Wilder said because of his status on the team, Wiegand has a lot of pressure, but there isn’t anyone better equipped to deal with that pressure. Junior Lucas Kramer, who finished as the individual runner-up a season ago, said his game has developed incredibly because of Wiegand’s impact. Chizek and Potter have both been on the last two teams that have finished in second place, and Chizek said he would like to go out on top in his last season, but that’s not the only thing that will determine their success. 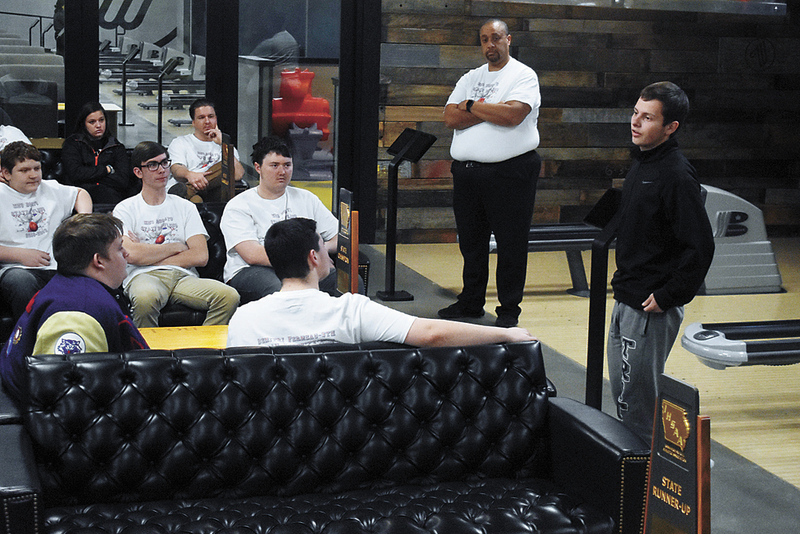 Having bowled in the last three state meets, Wiegand said he’s learned a lot about what it takes to reach the top, and they are going to apply everything they’ve all learned on Thursday. “Instead of worrying about how much carry the opponent is getting against us, how many breaks they are getting and we aren’t, I think we just need to focus on our own game,” he said. Potter said it’s really a simple equation for what the team wants to do. The Bobcat boys go for their second state title in program history on Thursday at the 3A State Bowling Meet at Cadillac Lanes in Waterloo, starting at 11:30 a.m.